Now that Christmas is over with, you may find yourself with a brand spanking new kindle that you have no idea what to load on it! Or you may find yourself with Amazon gift cards that you have no idea what to buy with them! My debut novel, Growing Up Neighbors, is the perfect solution. Not only can you purchase eBooks with your Amazon gift cards, but you can also put this eBook on your kindle! If you got both gifts for Christmas, you’d be killing two birds with one stone so to speak! The best part about this deal is that from Monday, December 26, 2016, through Friday, December 30, 2016, Growing Up Neighbors is just $0.99! You can find it HERE on Amazon! What is Growing Up Neighbors about? 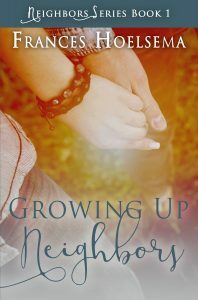 Growing Up Neighbors is a general fiction, coming of age story that is suitable for young teens and “older” folks alike. 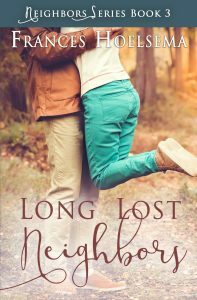 Those who have read this novel already enjoy the believable, sweet love story that is woven within its pages. This is a clean read that is suitable for anyone and everyone to read AND share without feeling guilty. Deborah and Nicholas become the best of friends, and as the children grow up, their friendship deepens. But when tragedy strikes, will this cause them to part ways? Or will it perhaps make them realize they may have stronger feelings for one another before it’s too late? All books are available in paperback if that is your cup of tea, and all eBooks are FREE with Kindle Unlimited! So how exactly did I come up with the idea of my novel, Growing Up Neighbors? It’s simple really…it’s my life story!